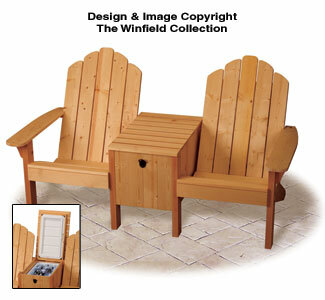 Relax with a friend in these comfortable Adirondack style chairs with a supply of cold drinks always close at hand! Clever design hides an ordinary plastic cooler under the handy center table. Other features include a front-opening hinged lid, an attached bottle opener and a brass drain faucet. 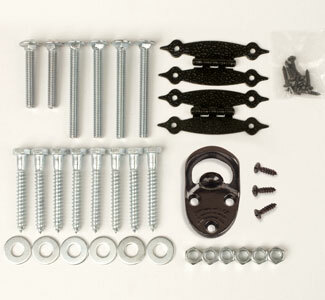 Includes one pair of black exterior mount hinges (#BHNG5), black bottle Opener (#BT2) both with screws and all Carriage Bolts, Lag Screws, nuts and washers to make one Cowboy Cooler/Twin Seater project.